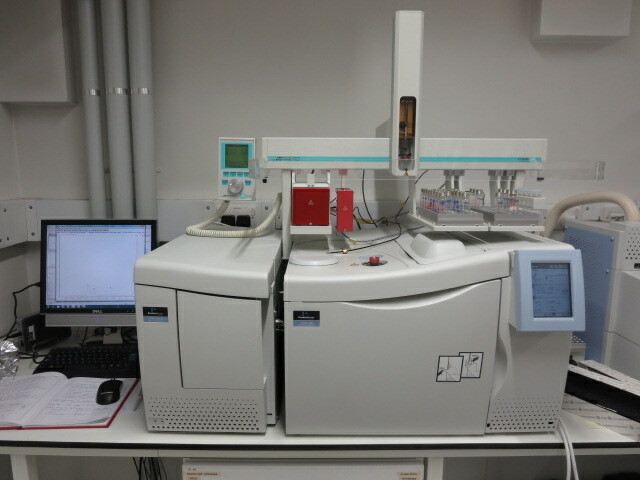 A GC-MS that can be used for manual injection or auto-sampler injection. The auto-ampler can use various syringes: a liquids syringe; a SPME (solid phase micro extraction) syringe; a head space syringe. The auto-sampler can be set to heat and agitate the sample vials. The vial trays can accommodate 2x32 20mL vials or 1x98 2mL vials.